We all know how hot and muggy Philadelphia summers can be in July! So, if you’ve got air conditioning, it better be working. Afterall, you’ve paid for its installation, and that’s an investment. Now you deserve to experience the wonderfully cool air that you’re expecting! But just like anything in life, air conditioners can suddenly stop working, and it can be challenging to work out why. I mean, it was working yesterday! Chances are, your ac problems have happened to someone else before. We round up the ten most common air conditioner problems that homeowners face, so you can better work out why your ac isn’t working. The most common reason for a filter becoming clogged is due to it becoming dirty. Clogged filters restrict the air that flows through your air conditioning, which will prevent it from effectively cooling the air. A clogged filter can also damage the coils’ capacity to absorb the heat, causing another whole problem. To avoid the problems associated with a clogged filter, make sure you clean your filters regularly and change them monthly. If you own a furry friend in the house, keeping filters constantly clean is even more critical. Thermostats are used to measure the temperature of the current air and then works its magic to change the temperature of the air to your preference. If your thermostat sensor is faulty, be sure to make sure the sensor is still in its correct position. Sometimes it can be knocked out of its position and gauge the temperatures incorrectly. Refrigerant, also known as Freon, is the chemical that cools the air in the air conditioning system, so it’s pretty important to make sure it’s at the correct levels. There are two main reasons for your refrigerant to be at inadequate levels. The first could be because your air conditioner was undercharged during the installation. The other reason could be a leak in the refrigerant system. Refrigerant leaks are harmful to the environment, not to mention the possibility of refrigerant poisoning, so call a professional to repair this as soon as possible. Simply adding more refrigerant to an air conditioner with refrigerant leaks will not fix the problem. A lot of homeowners use wind units as part of their air conditioners. They come with seals that prevent cold air from leaking out and hot air from leaking in. If the seals break or are worn away, the cold air that your air conditioner has been working so hard to produce for you could be slowly seeping out, wasting away. The best way to combat this problem is to reseal your window unit with weatherstripping. Just like filters, registers tend to get pretty dirty too. When you don’t clean your registers regularly, the air going through your air conditioner has to make its way through dust and dirt, making the air conditioner work that much harder unnecessarily. Despite it being one of the most common air conditioner problems, it’s relatively simple to solve. Get your Hoover out and give it a good vacuuming to get rid of any debris that may have built up. Keeping the air conditioner filter is a great step towards keeping your coils clean, but coils can experience their own problems regardless. Like registers and filters, coils can get dirty over time, preventing them from working properly. Also, having too much refrigerant can cause your coils to freeze over. The outside fan of an air conditioner plays the vital role of taking hot air and releasing it outside. If this fan stops working, the air conditioner compressor can overheat, and you don’t want that. I’m sure you’ve felt how hot your TV or laptop screen can get, not to mention lamps and other electrical appliances. Because it’s the thermostat’s job to regulate the temperature in your home, appliances that give off heat can really throw the thermostat off. To keep the thermostat running smoothly, make sure that there’s a decent distance between your thermostat appliances that give off heat. Of course, you got an air conditioner in the first place because of the sun’s heat, but keep in mind that overexposure to the heat from the sun could put your air conditioner in overdrive, creating some serious air conditioner problems. Just as your thermostat might be picking up the incorrect temperature from electrical appliances, it could be forced to work harder unnecessarily if it is exposed to direct sunlight. On the hottest days in Pennsylvania, make sure to keep your shades drawn and the sun out as much as you can. One of the biggest reasons for common ac problems is simply from not getting regular maintenance. As much as you keep the different parts of your ac clean, it’s still going to need a good ol’ check-up from a certified technician. They’ll be able to check the parts of the air conditioner that you can’t reach and don’t know much about. Sometimes it’s best just to leave it to the professionals. Next time you think to yourself “why has my ac stopped working?”, you can have a quick look at this list to look at the possible reasons behind your ac problems. 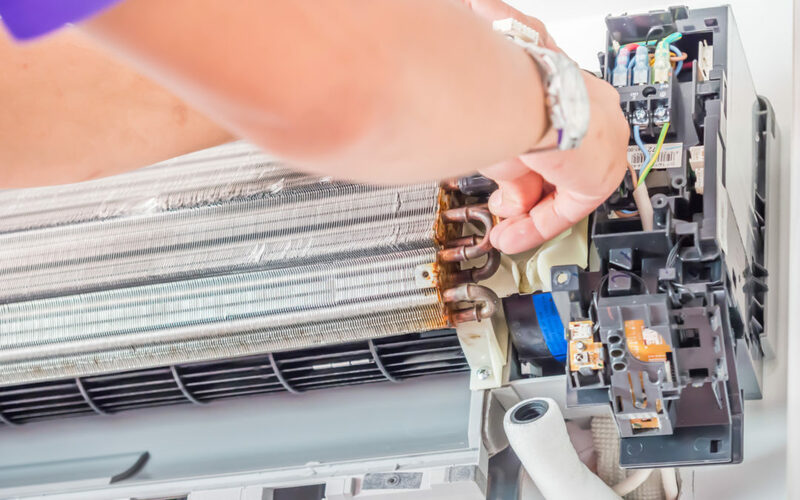 While some of them can be fixed by yourself, it’s still important to give your air conditioning regular maintenance to keep it in tip-top shape. If you’re looking for the services of a professional certified technician, contact us today. No matter what common ac problems you might be facing, we’ll do everything in our power to get your ac up and running, and keeping you cool as a cucumber.